In two days, the 2007 National Elementary Championship kicks off. 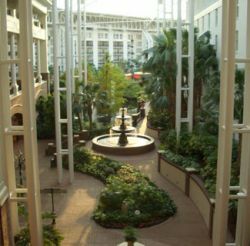 The event is scheduled for Nashville, TN from May.11-13 at the enormous Gaylord Opryland Resort hotel and convention center. This Nationals will bring together over 2000 players from 45 states! At least as many parents, family, teachers, and coaches will also be present. As the USCF's Scholastic director, I'm very excited to see over 4000 people gathered in Nashville for a chess tournament! On Saturday morning at 9 am, GM Susan Polgar will give a simul. IM Josh Waitzkin will be signing his new book, "The Art of Learning " at 5:30-7:30 pm on Friday, May 11 and 9:30-3 pm on Saturday, May 12. For more information about Josh and The Art of Learning, please visit www.joshwaitzkin.com . All proceeds from the book signings will go to research at the Muscular Dystrophy Association. Check uschess.org starting Saturday for daily updates from Nashville, including photos, results and games!